USD has been under pressure due to the US poor economic data, moreover, yesterday there was no economic reports to empower this currency. Today the US is publishing the retail sales data which might support USD. The support rests at 1.17470 with resistance at 1.17980 which the weekly pivot point at 1.17850 is located in between the lines. The EMA of 10 is moving with bearish bias along the descendant channel but it is above the EMA of 200 and the EMA of 100. The RSI is falling towards the oversold area, the Stochastic is showing downward momentum and the MACD indicator is in neutral territory. The ADX is showing sell signals. 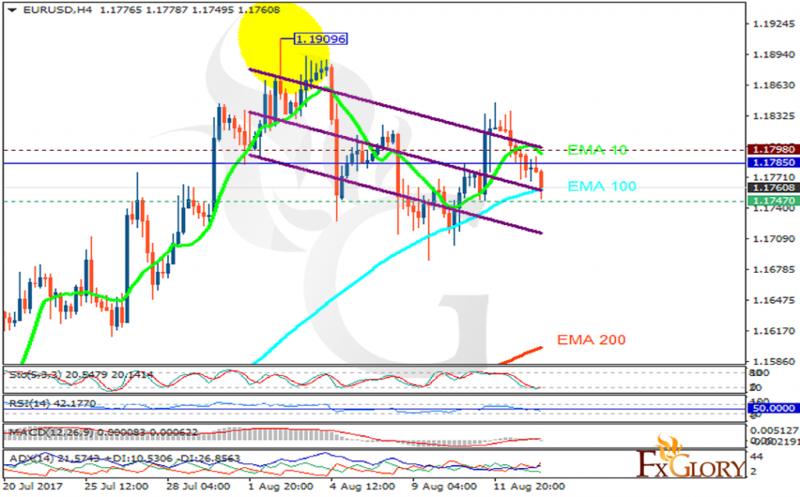 The support level breakthrough will drag the price down to 1.15 otherwise it will grow to 1.18.